Is Tom the right one for Marcy? Or has Sarah made her biggest blunder of all? Beautiful, talented, and stubborn, architect Laney Taylor battles her attraction to the handsome and wealthy—but mulish—homebuilder, Cannon Carlson. After all, he is her employer, and business and pleasure don’t mix, do they? Sarah, a klutzy, perpetually direction-challenged angel who craves cheeseburgers and fancies red stilettos, is sent to Houston on assignment. She’s to bring these obstinate people together, but she faces major challenges, especially since Laney is threatened by a mysterious stalker who plans to kill her. To protect Laney, the Commander of Heaven dispatches a second, more seasoned warrior angel, Tomas, to Earth with divine instructions to protect Laney. But will hit-or-miss Sarah get in his way? Can Sarah unite Cannon and Laney romantically together? 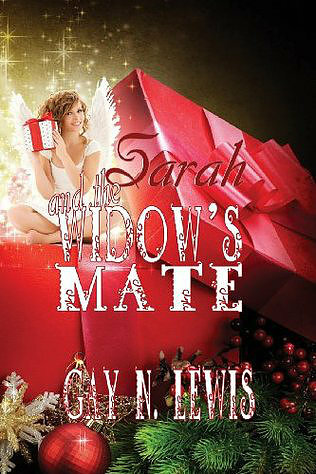 Widow Beth Marsh is not only beautiful, but wealthy enough to buy a third-world country. When she enters the dating arena to find companionship, two men profess an interest in her…but is it Beth they want, or are they out to get her money? Watching from the Heavenlies, the Superiors dispatch Heaven’s Little Love Angel to Houston during the Christmas holidays. 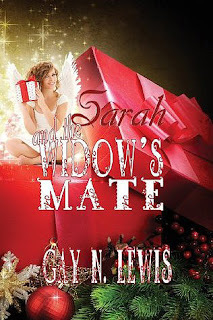 Sarah’s mission is to help the lady determine which of her suitors is the genuine article. Is black-haired Bryan Wingate the real deal? Or is good-looking Charles Chadwick the more earnest suitor? When Beth invites human-disguised Sarah to attend a wedding, the delighted angel looks forward to an opportunity to wear a beautiful formal gown, and maybe—at long last—red stilettos! But Sarah’s mission becomes deadly serious when she discovers Beth’s life is in danger. Sarah is given a new mission—to link Robert Johnson and Brittany Lee—two people she encountered while trying to bring a couple together on that irksome computer Internet dating service. Oh sure, she’d done it. Not without trial and a lot of error, but with this fresh assignment, trouble would come…she was positive. If she hadn’t grumbled about the computer, perhaps the Lieutenant wouldn’t have ordered her to ride the Galveston Ferris wheel. She’d seen the huge rotation device built over the Gulf of Mexico, and the very thought of a ride on that monster made her nauseous. What if she threw up on the humans? Oh merciful heavens! Why did the Superiors give such tasks to bumbling angels anyway? Sarah is given a new mission—to link Robert Johnson and Brittany Lee—two people she encountered while trying to bring a couple together on that irksome computer Internet dating service. Oh sure, she’d done it. Not without trial and a lot of error, but with this fresh assignment, trouble would come…she was positive. The Superiors left Sarah, “Heaven’s Little Love Angel,” on Earth to complete the third consecutive and interrelated mission. With simple instructions to find a mate for Galena Maddox and a dad for six-year-old Mandy, Sarah should have no problem, right? Well, except that dyslexic Sarah—known for bungles and goof-ups—creates more mayhem than she ever imagined possible. Pesky human disguises cause her trouble—again. In mortal form, she either injures people or embarrasses herself. Now the earthlings think she’s a fugitive from a mental hospital. With Galena’s shady past, will Matt Austin, a minister, even consider her as a wife? And will Matt’s hoity-toity church accept Galena if Sarah successfully brings them together? Angels shouldn’t worry, but the task is daunting. 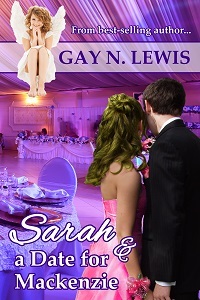 A wedding featuring the love interests from Sarah and the Internet Dating Service just might provide the magical atmosphere necessarily to bring Galena and Matt together. 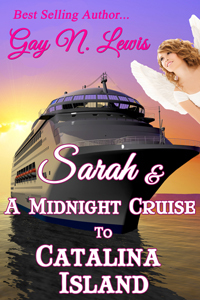 Dyslexic and bumbling love angel, Sarah, comes to earth to unite Carolyn with a mate. Her orders from the Superiors specify she must make this happen while Carolyn cruises to Catalina Island. Sarah fears she’ll fall into the ocean and drown under the pull of her soggy wings. 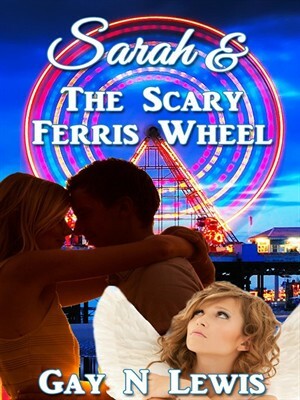 Facing a cruise might just be worse than facing a scary ferris wheel, but on this visit to earth, there’s more to fear than ocean waves... Talen is an evil spirit is assigned to thwart Sarah’s efforts by any means possible. The two destined lovers must not unite. Will Talen complete his task? Can Tomas, the Warrior Angel, successfully protect Sarah? Or will she goof up the battle between the holy and unholy spirits? Poopty doopty... Mayhem is bound to happen.